What is your initial reaction when your life enters a storm? Just as Jesus told his disciples, he is telling you today, Take courage and don’t be afraid! In life we may feel helpless sometimes like the disciples, floating in a boat in darkness. Sometimes were not sure what is going to happen next, but we should always remember God is with us. Just like the disciples, who thought they were alone in the darkness, Jesus was right by their side. Only Peter had the courage to ask Jesus if he could walk on the water with him, and when he took that “leap of faith” he was walking on the water with his Lord! Peter immediately cried out to Jesus, and he saved him. (Matthew 14:30-31) Even when we lose our faith or get off track, its always important to return to God. Even though Peter temporarily lost his faith, Jesus didn’t hesitate in saving him. Remember if you’re in the storm today, if you feel like your drowning in that boat in the dark sea, Jesus is standing right there with you. Just as Peter did, cry out Lord Save me! And Jesus will grab you from the drowning waters and into his arms Amen! This entry was posted in Jesus on February 28, 2017 by Unashamed of Jesus. Blessed is the nation whose God is the Lord , The people whom He has chosen for His own inheritance. This entry was posted in Jesus on February 27, 2017 by Unashamed of Jesus. Are you covered by the blood of Christ? Are your transgressions forgiven? The first thing we need to realize is that we are all sinners (Romans 3:23) this is why we all need Jesus. Without the blood of Christ there is no other way for your sins to be forgiven. Once you realize this, you realize how blessed we are through Jesus Christ. The blood of Jesus His Son cleanses us from all sin. (1 John 1:7) When Jesus took to the cross, he shed his blood for you and me. Through his royal blood all of our sins have been forgiven. Jesus is the atoning sacrifice for the sins of the whole world (1 John 2:2) when Jesus said “ It Is Finished” (John 19:30) all your sins have been washed away. Jesus defeated death, hell, and the grave. Because of this we can rejoice, how blessed are we all in Jesus. He was pierced for our transgressions, he was crushed for our iniquities, by his wounds we are healed (Isaiah 53:5) Everything that Jesus endured on the cross, was for you and me. By the shedding of his blood, our sins are covered, we are healed! Sin is lawlessness (1 John 3:4) and separates us from God. Accept Jesus as your Lord and Savior today, and be covered by his blood. Behold the Lamb of God has come to take away the sins of the world (John 1:29) that Lamb is Jesus Christ. Are you blessed or condemned? Accept the covering today in Jesus Name Amen! This entry was posted in Jesus on February 25, 2017 by Unashamed of Jesus. How blessed is he whose transgression is forgiven, Whose sin is covered! This entry was posted in Jesus on February 23, 2017 by Unashamed of Jesus. Many people like to use religion to condemn people but Jesus clarifies this topic. In this example the Pharisees were condemning Jesus for healing people on the Sabbath Day. Jesus said it is lawful to do good on the Sabbath day (Matthew 12:12) Jesus is saying if you see someone in trouble or needs help, do you think God wants you to ignore them because it’s the Sabbath day? Even today many religious leaders like to condemn people for the Sabbath day. But we need to understand God made the Sabbath day for man (Mark 2:27) He didn’t create the day to condemn people. The Sabbath day was made out of compassion for man, to give us rest and peace. When God made the commandment to Keep the Sabbath Day (Deuteronomy 5:12) he made it for our well-being. God knows you need rest, relief from stress. This is the purpose of the Sabbath day, to shut down and take a break, not to condemn yourself. What happens after you die? This is a topic most of us have pondered sometime in our life. It’s a topic that even most religions fail to address. Jesus addresses this issue during a funeral. Sometimes we might feel like God is cold or angry and couldn’t understand our human emotion. But remember “Jesus wept” (John 11:35) Jesus was so overtaken by emotion he broke down and cried with Mary and Martha. Remember Jesus become God in the flesh (John 1:14) he knows the pain we feel. 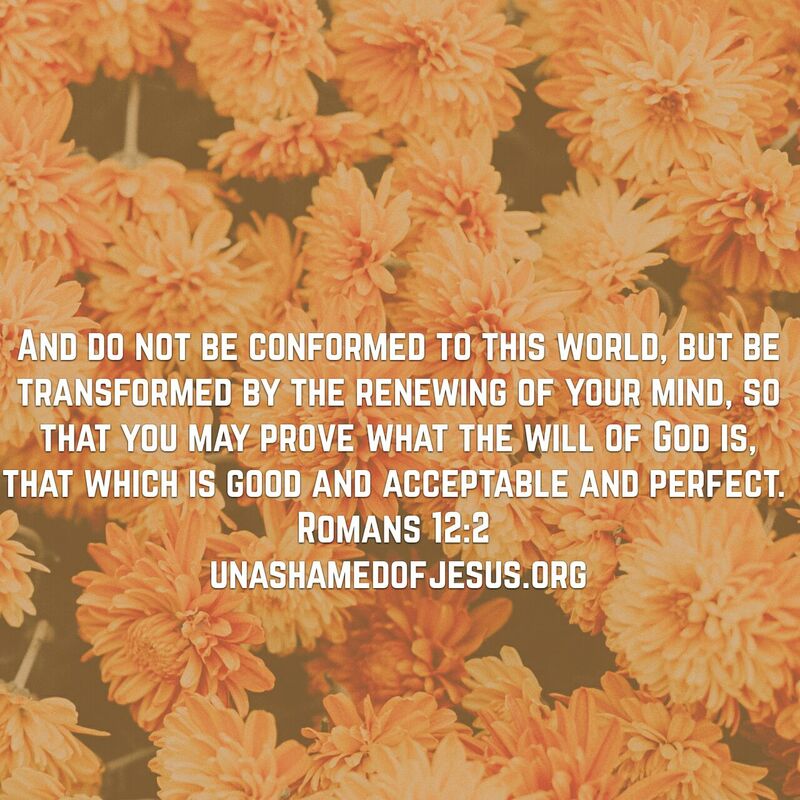 This entry was posted in Jesus on February 21, 2017 by Unashamed of Jesus. Are you unsure if Jesus is really the Messiah or Son of God? Don’t feel bad if you do, even the prophet, John the Baptist, who Jesus called the greatest (Matthew 11:11), questioned whether Jesus was the Messiah. Its natural for us as humans to be skeptical or hesitant to trust. Because through our lives people have always let us down. But we need to understand that Jesus was perfect, he knew no sin (2 Corinthians 5:21) he spoke truth even when it meant his life. First off Jesus didn’t get offended he simply said his evidence is by his works. We should not be afraid to ask God questions we don’t know. If you seek you will find (Matthew 7:7) God will reveal the answer to you through his works. Jesus demonstrated who he is , not only by his words, but by his actions. This entry was posted in Jesus on February 20, 2017 by Unashamed of Jesus.